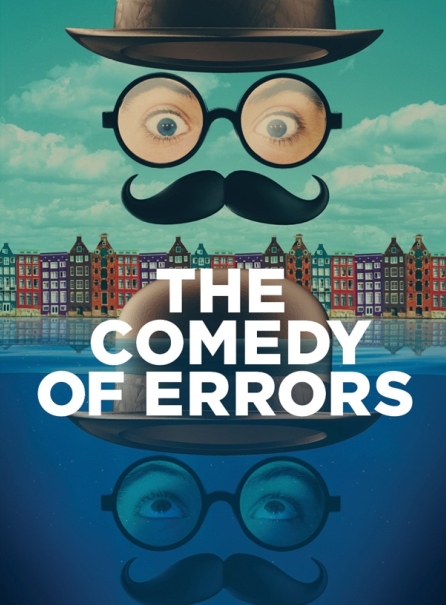 The Old Globe has announced its cast and crew for The Comedy of Errors, part of the Globe’s 80th Anniversary festivities during Balboa Park’s Centennial Celebration. With three shows on Broadway this year, Tony and Emmy Award nominee Scott Ellis makes his Globe debut directing one of William Shakespeare’s most delightful confections. Performances begin August 16 and run through September 20, 2015, with opening night on Saturday, August 22 at 8:00 pm. Laughter will ring out under the stars as Shakespeare’s hilarious tale of mistaken identity takes the outdoor stage. A young man and his servant arrive in town, unaware that each of them has a separated-at-birth identical twin already there. This can’t end well—or maybe it can, but not before the unexpected double vision leads to furious wives, confused mistresses, scandalized family members, and general mayhem. Portraying the very confused sets of twins are Glenn Howerton as Antipholus of Ephesus/Antipholus of Syracuse and Tony Award nominee Rory O’Malley as Dromio of Ephesus/Dromio of Syracuse. The cast also features Megan Dodds as Adriana, Barrett Doss as Luciana, Austin Durant as Duke Solinus and Doctor Pinch, Patrick Kerr as Egeon, Garth Schilling as Courtesan, and Deborah Taylor as Emilia, along with Amy Blackman, Lindsay Brill, Charlotte Bydwell, Lowell Byers, Ally Carey, Jamal Douglas, Tyler Kent, Jake Millgard, Makha Mthembu, Daniel Petzold, Megan M. Storti, Nathan Whitmer, and Patrick Zeller. The creative team also includes Alexander Dodge (Scenic Design), Linda Cho (Costume Design), Philip S. Rosenberg (Lighting Design), Acme Sound Partners (Sound Design), Derek Cannon (Music Director), Ursula Meyer (Voice and Text Coach), Jim Carnahan, CSA (Casting), and Charles Means (Production Stage Manager). Post-Show Forums where you can discuss the play with members of the cast and crew will take place Tuesday, August 25, Wednesday, August 26, and Tuesday, September 1 following the performance.